The 'Ultimate' Indoor Flying Site! Stay warm and fly all winter long! 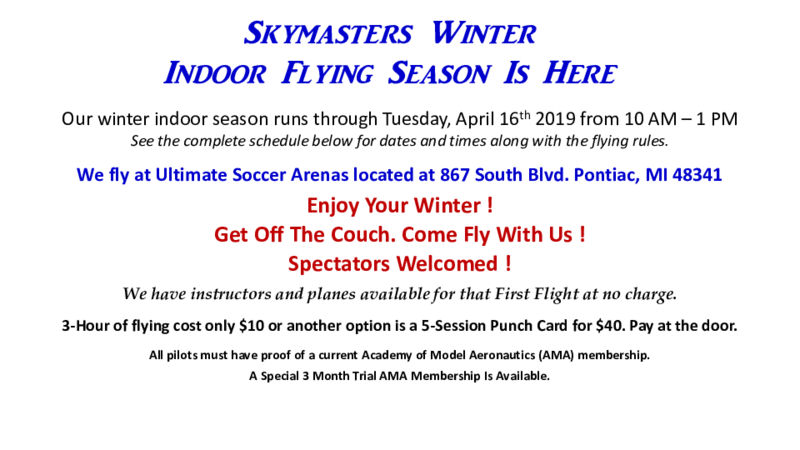 Join us for indoor flying on Tuesdays throughout the winter! 10AM - 1PM. Ultimate Soccer Arenas is our host site. Located at 867 South Blvd in Pontiac, the facility features a 365 foot by 260 foot flying area with ceiling heights from 45 to 75 feet! Flying is every Tuesday from November thru March from 10am - 1pm! (check schedule for holiday date changes.) Monday sessions are typically scheduled for Martin Luther King Day and President's Day as well as additional holiday sessions! Come fly in a temperature controlled, well lit facility - regardless of the weather outside. 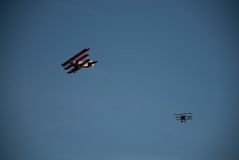 There is ample room for simultaneous flying of 3D, Heli, and Sport aircraft! Facilities include a restaurant onsite for food and drink. Season passes (gold cards) are the best value, providing access to all sessions for one price. Punch cards are also available in 5 session blocks. Proof of AMA Membership required. Tickets are non-transferable / non-refundable. Have questions or need more information about this event, contact us via email at: indoor@skymasters.org. 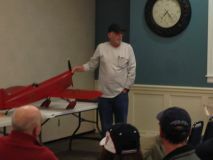 Online Registration for the Winter Indoor Flying is not currently open. 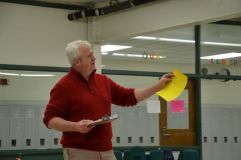 Registration Form for the Winter Indoor Flying is not currently available. Pictures from our Indoor season at Ultimate Soccer Arenas! 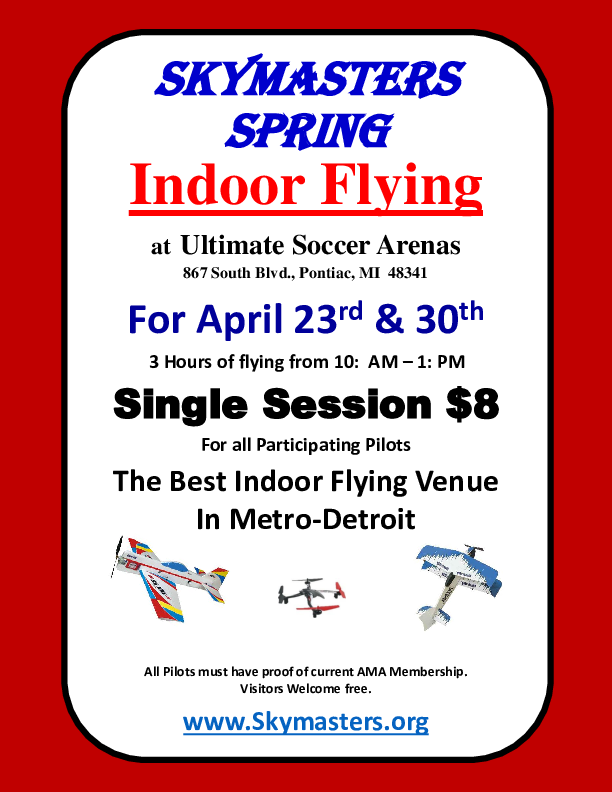 Indoor flying continues at Ultimate Soccer Arena! Our indoor flying season continued at Ultimate Soccer Arenas! Pictures from Jan-Mar - and Oct-Dec! Flying indoors at Ultimate Soccer Arenas continues! Every Tuesday through the winter from 11am to 1pm. Flying indoors at Ultimate Soccer Arenas! Every Tuesday through the winter from 11am to 1pm.